I hate how in certain areas of my house, the wifi signal is so weak that it's almost nonexistent. You could easily take care of this with the Linksys Wi-Fi N600 Range Extender which boosts your home's wifi signal. 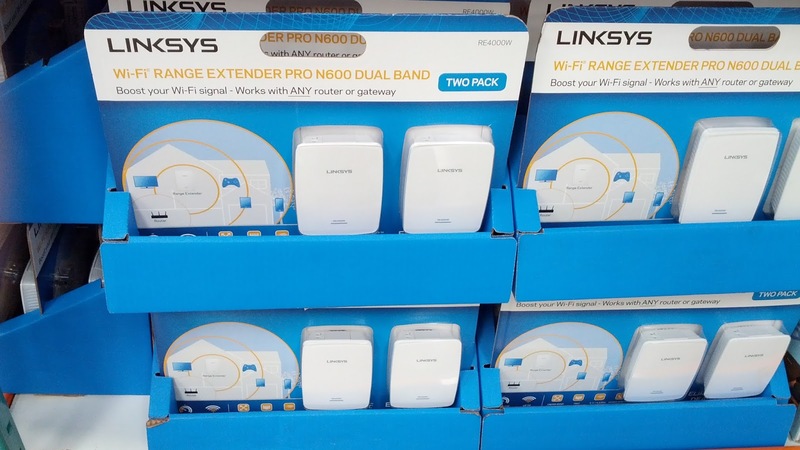 The bundle comes with 2 range extenders so that you can have wifi anywhere in your home. This is great for me because I sometimes like to work on my laptop outside in my backyard. Also, when I'm in the garage working out on the treadmill, I like to stream movies or music on Pandora while running. 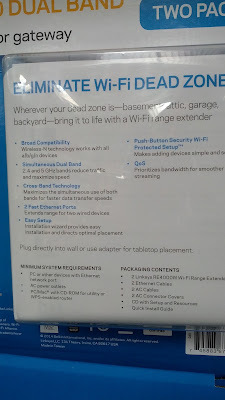 What's great is that it connects to any router whether you have a Linksys, Netgear, Belkin, or whatever. 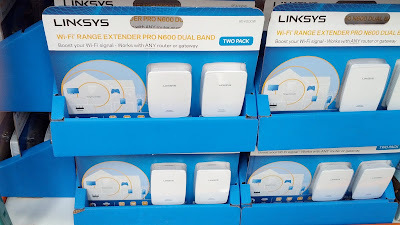 It makes sense to get the N600 Range Extender since what's the point of wifi if none of your devices can detect it? Make sure your entire home has no dead spots with the Linksys Wi-Fi Pro N600 Range Extender. 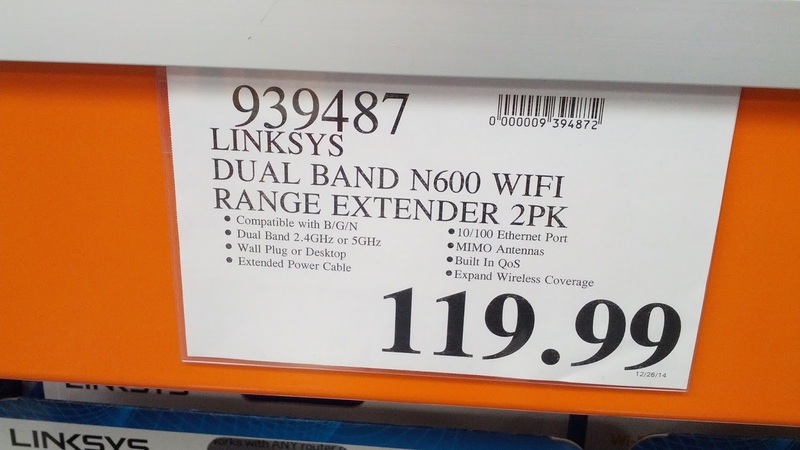 The Linksys Wifi Range Extender works with any wireless router. 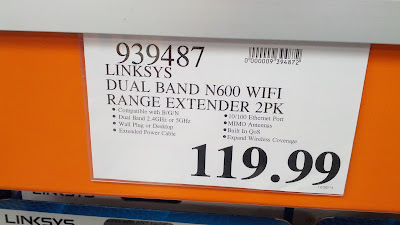 Costco offers the Wi-Fi Pro N600 Range Extender for a very reasonable price. Boost your Wi-Fi signal. Works with any router or gateway. 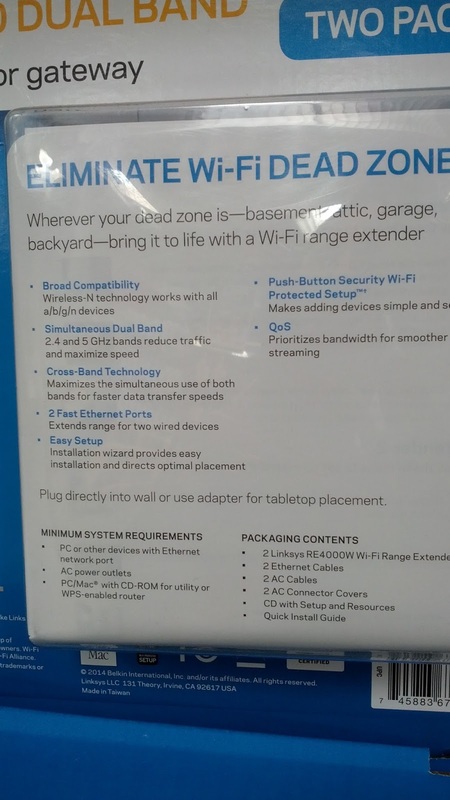 Wherever your dead zone is - basement, backyard, garage, attic - bring it to life with a Wi-Fi range extender.